TytoCare | On Demand Medical Exams. Anytime. Anywhere. Tyto is a handheld exam kit and app that lets you perform guided medical exams with a healthcare provider, anytime, anywhere. 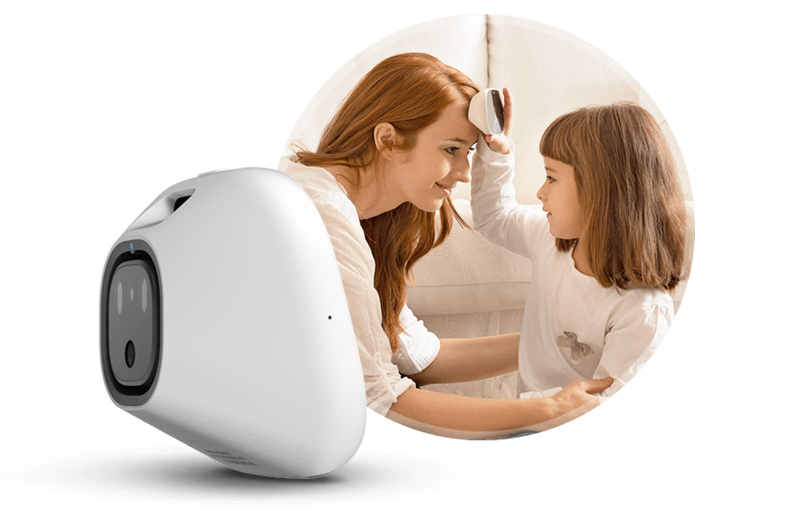 With Tyto, you can receive a diagnosis, a treatment plan, and a prescription if needed, all from the comfort of home. Some kids seem to get sick all the time, with ear infections, pink eye, fevers, rashes, cold, cough, or just some good old-fashioned congestion. 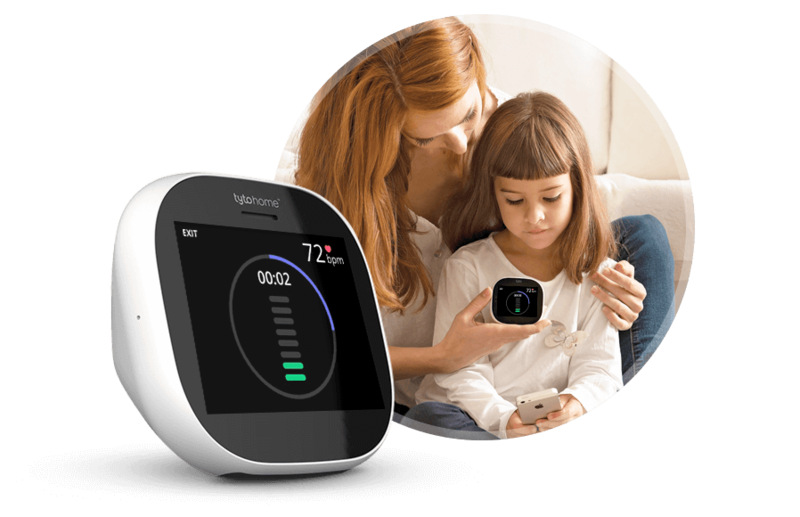 Tyto enables your doctor to diagnose those common conditions without having to go all the way to the office. Again. It’s 2 am and your child can’t stop crying. Is it serious? Do you need to rush to urgent care, the hospital, or neither? Is it worth risking a germ-infested waiting room if you aren’t sure? Tyto helps answer these questions by connecting you directly with your doctor for a live medical exam. Right when you need it. Right from home. You’re not feeling well, but is it just a cold or something more? Should you head to the office or stay home? Now you can get the answers you need with an on-demand medical exam with your doctor, anytime, anywhere. So you can know with certainty what to do next. Tyto’s stethoscope lets your doctor listen to your heart sounds no matter where you are. 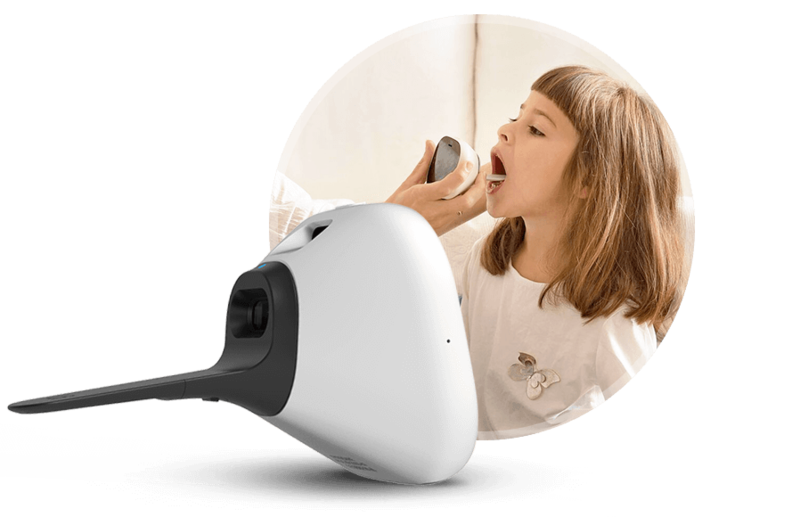 Tyto’s otoscope lets your doctor look inside your ears and examine your ear drum. 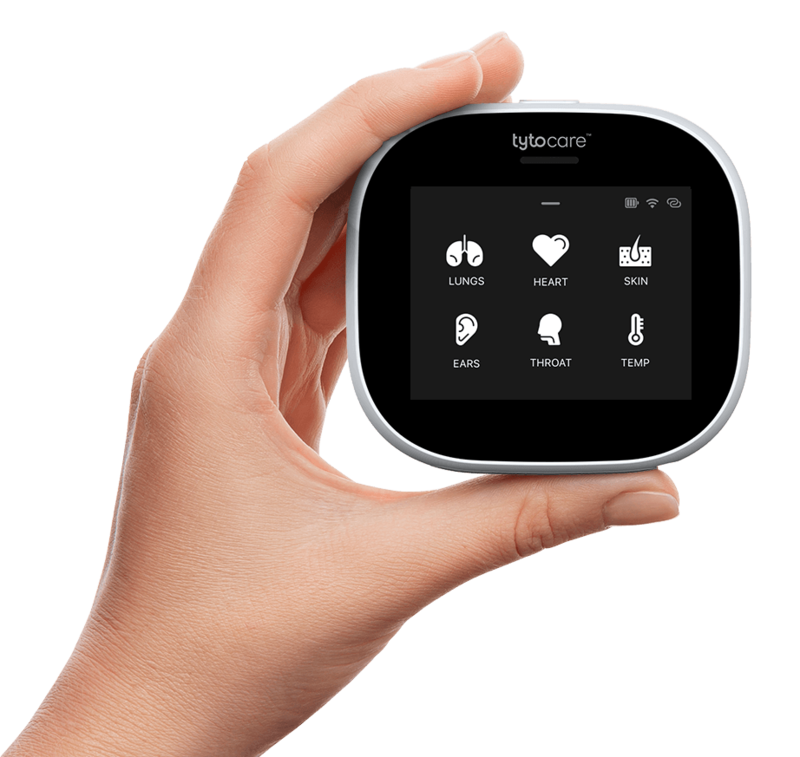 Using Tyto’s stethoscope, your doctor can listen to your breathing to help provide a diagnosis. Your doctor can examine your throat and tonsils to determine if they’re sore from a cold or something more. 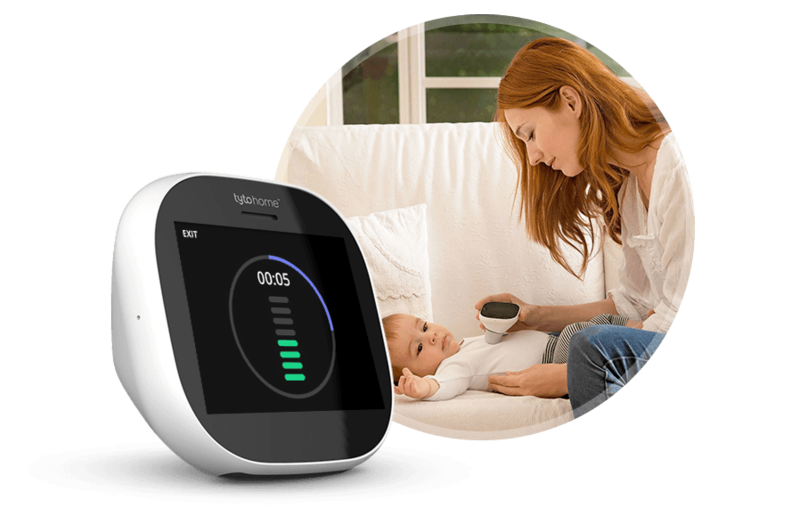 Use Tyto’s no-touch infrared basal thermometer to measure your body temperature. 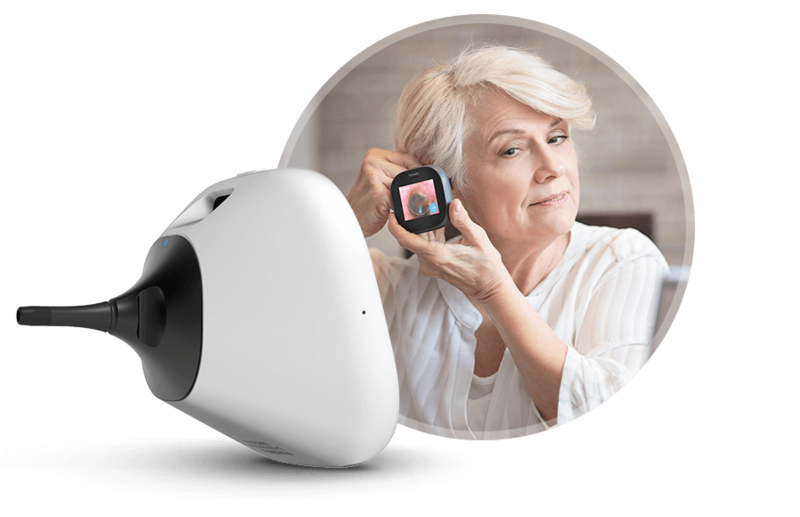 Tyto’s high-definition camera captures images of your skin to help diagnose rashes and bug bites, or monitor lesions. Using Tyto’s stethoscope, doctors can listen to your stomach and bowel sounds to help diagnose gastrointestinal issues. 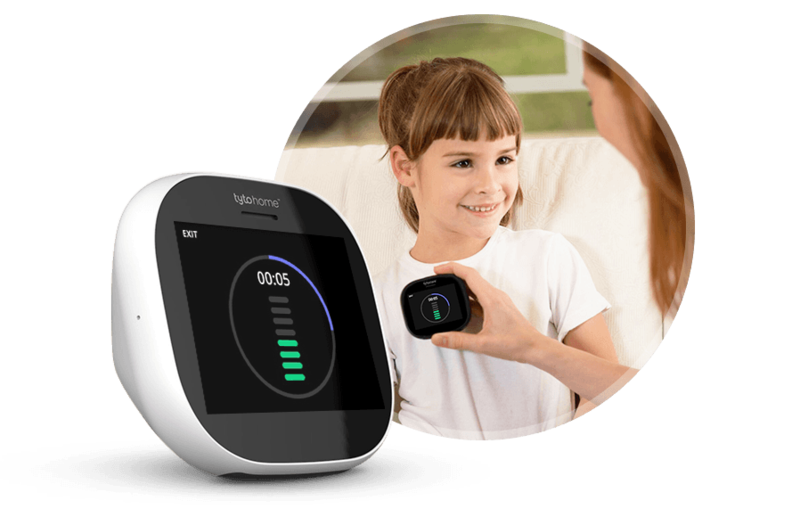 Tyto goes beyond a phone or video chat with a doctor by providing an on-demand, clinic-quality medical exam, right from your home, so you can know with certainty what to do next. Debates about whether to rush to the emergency room are over. With Tyto, you’ll know immediately if action needs to be taken or if you can go back to sleep. See a provider from the comfort of home without having to wait for an appointment or travel to the office. Tyto uses a HIPAA-secure platform that only you and the healthcare provider can access, so you can be certain your information is safe and secure.